Ed: We hold these truths to be self-evident that all value is subjective, that the customer is the soul arbiter of value which we in Enterprise create, and it is price that determines costs, not the opposite, that to secure these truths, policies and procedures are instituted among knowledge workers, and that whatever any policy becomes destructive of these principles, it is the right of the knowledge worker to alter and abolish it, and to institute new policies laying its foundation on such principles as shall seem most likely to affect their creativity, dignity, self-respect and happiness. Ron: Yes. You too, Ed. Ed: We’re declaring our independence from the tyranny of Taylorism. Who’s this guy, Frederick Winslow Taylor and why are we declaring our independence from this dude? Ron: This is an amazing story. I mean, one man .. the ghost of Taylorism still casts a very long shadow. This guy was born in 1856, and he basically was the guy who ran around and did the time and motion studies in Steel Mills and factories, and he’s credited with increasing the efficiency of the industrial era. I mean, he’s credited with a lot of things, but he was kind of the world’s first business consultant. He charged $35 a day, and he’s a classic example of the type of thinker that just as Oliver Wendell Holmes wrote a hundred years after he’s dead and forgotten men who never heard of him will be moving to the measure of his thought. That is certainly true to this day. To this day in business enterprises around the world, we pay tribute to the ghost of Taylorism or what I call the ‘Gospel of Efficiency’ because everybody declares that we need to be more efficient. Ed: It’s really a cult of efficiency, Ron. That’s my observation. Wasn’t it Holmes that actually coined the term ‘Scientific Management’ on which Winslow Taylor’s book was written, right? Ron: Yes, he did. In fact, he was a big promoter of Taylorism and thought it would make government more efficient, make business more efficient, save all this money, and Taylor set out to prove that management is a true science with laws as exact and as clearly defined as the fundamental principles of engineering. You have an engineering background and even a cost accounting background. If you think about it, Ed, this idea that management is a true science is the antithesis of this very show. I mean, this show is the soul of enterprise, so we’re not just talking about the material side of business, we’re also talking about business enterprise has a soul. There’s a spirit here and those things can’t be measured, so I believe what we’re talking about is the antithesis of Taylorism. Ed: Yes, and he was also a bit nuts too. I mean, as I read up on him and read over the past, I mean, I think when he was 12 years old, then he invent something to prick him awake when he would roll over onto his stomach or something to prevent him from having nightmares. I mean, he was a little crazy for me. Ron: Yes, like junior high school dances, he would draft charts of girls according to their beauty, and then he would try and divide his time between the pretty ones and the not so pretty ones, and he collected vast amounts of cricket scores. That’s probably more exciting than watching cricket itself, so I can’t blame him for that. Yes, he was kind of a strange duck. Let me just define Taylorism so people know what we’re talking about. It’s the application of scientific methods to the problem of obtaining maximum efficiency in industrial work or the like. I mean, they actually apply this to the homemaker as well, how to be more efficient in the home, and there were all sorts of articles in ladies magazines and all that type of thing. This guy had a massive impact on the culture during the progressive era, the early 1900s. He actually have a disciple. You want to talk about a strange duck, a bigger duck and a stranger duck was his disciple, Frank Gilbreth who as you know, Ed, we talk about this all the time, they did a movie on him called ‘Cheaper by the Dozen’ and not the Steve Martin recent one, but the one that was starring Clifton Webb, I think made back in the late ‘40s or ‘50s. That was actually based on a book that two of Frank Gilbreth’s kids wrote, and that this guy was a real strange duck. For instance, he was an efficiency expert and he used to shave with two razors because he said, “This saves minutes off the time of shaving”, and of course one day, he cut himself and that actually cost him more time. This whole cult of efficiency, we’re still dealing with the ramifications of it to this day. Ron: Lennon was a disciple of Taylorism. He thought that the new Soviet Union had to really embrace Taylorism to make itself scientific and put it on the map, and also Mussolini was a big fan. In fact, after Taylor died, Mussolini had an audience with Taylor’s widow. He’s credited with all sorts of things that he didn’t really do. I mean, some people say he had something to do with the holocaust, and this is taking it too far, but there’s no doubt that Taylor’s ghost still haunts the halls of businesses to this day. Ed: Absolutely. I was in conversation today with some coworkers on some of these matters, and where it manifests itself today is in terms like ‘Scalability’, and certainly efficiency inside an organization. Ed: Let us set the records straight here. We are not anti-efficiency, are we? Ron: No. Nobody can be anti-efficiency. However, the problem with this word ‘Efficiency’ is if you attack it, it’s like attacking motherhood and apple pie. I mean, everybody says, “You’re going to need conference. Listen, to pick up any business book, we need to be more efficient. We need to be more efficient.” Ed, I think we should spend some time explaining this or at least talking about it because you’ve affectionately labeled this debate that we have at VeraSage ‘Efficiency Versus Effectiveness’. You’ve labeled this the ‘EFF [and 00:06:44] Debate’. Ron: EFF, yes. EFF. The EFF [and 00:06:48] Debate. Let’s define this. Classically, you hear it put this way, and I’ve just read this definition the other day. Efficiency is about doing things right, whereas, effectiveness is doing the right thing. That’s not true. Efficiency is not doing things right. Efficiency makes no judgment about doing things right. Efficiency is a blind, stupid ratio. It’s always a ratio. Its outputs divided by inputs or some such thing. It doesn’t say anything about doing things right, it’s just a measurement. As you know, measurements can obscure reality. They could actually blind us to the truth, and they can actually crowd out judgment. For instance, I can prove on average that everybody in the world has on average one testicle. Mathematically, I’m right on saying that, but if I believe that as a human being, I’m an idiot. Ed: Right. I think this goes to something that is one of the deeper elements that perhaps we’ll address in a future show as this idea of obsession with measurement of things. I’ve really come to the conclusion that every measurement is really first a judgment in disguise. One of the ways that I will demonstrate this is I’ll be up in front of an audience, and I’ll say, “How fast am I moving?” Not fast at all because I’m just standing there at all. They say, “What if you took it from the perspective of above the earth? You would see that the earth is rotating and I’m moving in a thousand miles an hour. Then, as you get further and further away, the top of the solar system, the earth is going around the sun, and of course our solar system is going around the Milky Way,” so it turns out that this is Einstein’s theory of relativity applied to business. Ron: Right. Right. That’s such a great example, Ed, and I think isn’t that Eccles Law that all measurements are in fact judgments? Ron: Right. I’m here in Wine Country in Northern California. There’s a great saying that the winemakers have around here which is you can count … It’s easier to count the bottles than to describe the wine. We can count the cost of the grapes and the vines and all of that … all the inputs, the bottles, the corks, but it says nothing adds to the value of the wine. That takes description. That takes judgment. That takes a refined palate … all of those things. I think that’s what’s really important to understand is that a measurement is not a judgment, and in a knowledge economy, a judgment is superior to a measurement. Ed: In all cases, yes. I would say, in a knowledge economy, true. Hey, quickly, Ron, there’s a lot of things that we are talking about here that maybe we should fill some folks in on before we undertake things. One, you mentioned earlier the VeraSage Institute, so let’s just quickly talk about that one. You just give us a brief description of that. Ron: Yes. The VeraSage Institute is a think tank I founded with my two cofounders, Justin Barnett and Dan Morris. Our goal is to teach professionals basically about the knowledge economy or just teach business people in general about the knowledge economy and how we knowledge workers, and how knowledge workers are the opposite of what Taylor studied which was industrial workers, who work in steel factories and what not. VeraSage is out there trying to help businesses understand that we live in a knowledge economy and all of the implications of that. Ed: Right. For the record, I work for a company called ‘Sage’. We make a manufacture software. For the longest time, my job has really not been about technology at all, it’s really been a business consultant to the folks that implement our software. 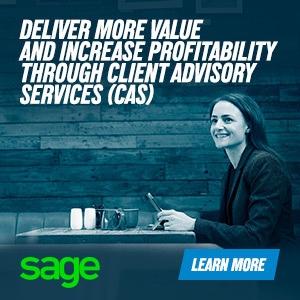 Over the course of the last twoyears, I’ve gotten a chance to get a lot closer to our customers as well, and then also work with the Sage accountants network. Ron and I, we came into contact with each other what, 10 years ago at this point? Ron: Yes, I believe it was 2003 or 2004. Yes. Ed: Yes. Yes. VeraSage has nothing to do with Sage, except the last four letters are the same and I like to say it, and I’m involved with both. That’s what the only commonalty is there. Ed: VeraSage … Tell me one that the origin of VeraSage and why it’s called ‘VeraSage’. It’s a pretty cool thing. Ron: Yes. The name we had … The name consultant come in, and she basically took ‘Vera’ which is veracity and combined it with ‘Sagacity’, so true wisdom. That’s how we got VeraSage. It doesn’t have anything to do with Sage, but that’s how we came up with the name. Ed: We should talk about that a lot of the material that we’ll be talking about over the course of our show is really based on the thoughts and reflections that you and I have had over the years, and really, the help of the folks who are fellows of the VeraSage Institute who constantly challenge our thinking. That’s one of the things that you and I love is to be challenged in our thinking. Ron: Right, because I mean, I believe ideas have consequences, and ideas rule the world, and it’s really important to study an idea and know its antecedents, but also know its consequences. I think think tanks are a great model because they operate in the arena of ideas no matter where those ideas come from, so we’re always willing to take an idea and turn it around and subject it to our own processes and see how it comes out. That’s what excites me. Ideas excite me. Ed: Yes. Thinking about the stuff is clearly very inefficient. Ron: Yes. Hopefully though, quite effective. Ed: Right. That’s what we’re going to get into in later portions of this program today is we’re going to contrast the idea of effectiveness and efficiency, and even maybe talk about I think something that’s really cool, the better word that you and I have thrown around called ‘Efficaciousness’. Efficaciousness. I just love saying it. It’s a good word. Ron: I do too. Yes, there are many more things to say about effectiveness versus efficiency. For example, what if Walt Disney had listened to efficiency experts, and if he did do that, what would have been the consequences? We’ll talk about that maybe when we return, Ed. Ed: The Cult of Efficiency is a descendant of the thoroughly discredited Marxian Labor Theory of Value which has never adequately explained value in a free market, and has no jurisdiction to control the intellectual capital of which the knowledge workers are engaged in creating. Happy independence day again, Ron. Ron: Yes. You too, Ed. I’m loving these quotes that you’re springing on everybody. Where are you getting these by the way? Ed: This is our sort of a little inside joke that we have at the VeraSage Institute. One thing that we’ve done a long time ago is to declare independence from the timesheet. I’ve made little changes to these and that we’re declaring our independence from the tyranny of Taylorism and this cult of efficiency. That’s the subject of our show today. Let’s jump back into it. We talked about the difference possibly between effectiveness, efficiency and efficaciousness. Ed: You were going to tell us a story about Walt Disney and Snow White. Why don’t you go on and talk about that? Ron: Right. Here’s a great example of why efficiency is not just necessarily doing things right, whereas effectiveness is defined as doing the right thing. If Walt Disney had listened to efficiency experts when he was making Snow White, was known as Disney’s folly, everybody thought he’d go broke, nobody wants to sit through a full animated feature, he had the studio leverage to the hilt, he even cashed in his life insurance policies … I mean, everything was riding on this movie, and this was of course in the ‘30s during the depression. If he had listened to efficiency experts, they would have came in and they would have seen these animators drawing … there’s something two million or over a million hand-drawn animated cells, and they would have said, “Walt, you need to finish this movie. Get in the can. Get it in theaters. Start earning back some of the money so you can pay off the debts and all of that,” and Ed, we would be home or your kids would be home now watching Snow White and the four dwarves. Now certainly, from an output input ratio, that would have been “More efficient”, however, it wouldn’t have been nearly as effective. Disney wasn’t after efficiency, he was after effectiveness because the two little pigs just doesn’t have the same ring to it. It’s not about efficiency, it’s all about effectiveness at the end of the day. Ed: Let’s tie this together. The idea is here that knowledge workers are more like artists, and that in a sense, and I have believe this for years. Business is not a science, right? Business is an art. Ron: Absolutely. That’s why it was so easy for us to come up with the title of our show, ‘The Soul of Enterprise’ because we wanted to talk about that artistic nature of business. It’s not just something that can be reduced in numbers. Ed: There’s really no such thing as this like generic efficiency either. That’s a Thomas Sowell quote, isn’t it, Ron? Ron: Yes. I mean, first off, was Einstein efficient? How would you even know? By the way, would you even care? From what I understand when Einstein was stuck, he’d sit in a room, play a violin for hours of the time. Now, this isn’t very efficient. He was however quite effective. I think the other point that needs to be made, Ed is we can obviously be efficient doing the wrong things, and there’s nothing more useful or useless or more wasteful than being efficient at the wrong thing. I think that’s a very important distinction between these two, but yes, there’s no such thing as generic efficiency. Ron: You can’t meaningfully define it without regards to purpose, desires and preferences, and how much we’re willing to pay for something. I mean, our cars are for the most part very inefficient. They’re idle 90% of the time, but they’re very effective because when you want to go somewhere, you get in and you just go. We make these tradeoffs all the time between these two concepts. Ed: Right. That’s changing because I’ll be driving these cars, and then we won’t have to own a second car. That’d be a whole another show. Ron: Absolutely. Absolutely. In the business context, I mean, you say there’s no such thing as generic efficiency, but this applies even to more than business. I mean, if you look at around the world, you ask yourself, “Why do these cities build these incredible bridges like the Golden Gate or the Sydney Harbour Bridge?” These aren’t very efficient. You could put a military bridge up much quicker, much cheaper cost, it would carry just as much weight, because a military bridge doesn’t appeal to our souls. It doesn’t have the same impact. I think that’s another really good way to highlight this difference between effectiveness and efficiency. The other thing that you and I always talk about and provide many examples of is competitive advantage lies with effectiveness. Businesses aren’t paid to be efficient. I think the buggy whip manufacturers were at the apogee of their efficiency, but they were doing the wrong thing by the time the combustion engine came out. The competitive advantages of businesses lie in effectiveness because efficiency can be replicated quite easily by your competition. Somebody said, “Hey, listen. What we really want to do is we want to make sure that we get our life insurance policies in the hands of the customers within 48 hours after they have inked it with the field agent”, right? They put up all of these systems in place to make sure … through FedEx and overnight and all this stuff that this 70-page document, the details of the 70-page document were in the hands of the customer within 48 hours. Here’s the problem with that. I mean, if any of you in the audience or Ron, you’ve ever gotten your life insurance policy, what did you do with it when you received it, right? Ron: I certainly didn’t sit there and read it. Ed: Right. You certainly didn’t sit there and read it. You probably didn’t open it right away. It probably sat in the corner. You’re like, “Oh yes. That’s the life insurance.” You weren’t like, “Oh yes. Let’s see. I want to execute on this today,” right? No. Ed: That is the last thing I want to do. At best, then it gets stuck in a file some place, you’re putting the fire safe or what have you because it didn’t mean anything to the customer. They’re like, “Yippee skippy. We got these to the hands of our customers within 48 hours,” but the customers didn’t care. Didn’t care. Ron: Right. That’s a great example, isn’t it of where efficient and basically doing the wrong thing or it’s something that’s not adding value to the customer. Ron: Right, because it’s easily measurable and it’s just the type of thing that Frederick Taylor would go bonkers over because he can measure it and they can reduce the time and all of that, but if it’s meaningless, it’s meaningless. Ron: You don’t make something effective by making it more efficient. I think this leads to the other thing, Ed that you said about knowledge workers being artists and we talked about Einstein and obviously Walt Disney. If you think about efficiency in the knowledge environment when you’re dealing with knowledge workers, it takes care of itself because assuming you’re using the latest and greatest technology and all of that, a surgeon is going to be more efficient doing his hundredth surgery than his first two or three. Same with an auditor doing an audit or pick your trade. It’s kind of the basic human learning curve or experience curve that usually takes care of efficiency more than anything. We just get better because of experience. Ed: I’ve got the perfect story for this, and it doesn’t matter to certain people. There’s a battle in my house around the dishwasher. A battle, right? Right? I’m the Frederick Taylor in this. This is like … I’m the Frederick Taylor. I am the person who is trying to make sure that we load the dishwasher the most efficiently. Actually, it’s really not so much loading. It’s the unloading so that we can unload it efficiently and make the least number of trips back and forth. Ed: Right? Because my job is to unload the dishwasher, and actually load it too. Ed: That’s the deal, but I do a lot of travel, so I’ll get home and when I have to unload the dishwasher and it hasn’t been loaded to my specifications, it’s like, “Oh my God. Here we go.” Right? Here’s the really cool part is, we now have children. My son, Sean is eight years old and it’s now his job to unload the dishwasher, so now I don’t care anymore. Now, I can easily just sit back and say, “You know what? However the dishwasher is loaded is just fine with me,” because it’s no longer ineffective. It’s no longer a matter as to me. Ron: Right. Right. It brings up another very interesting point at about some of these efficiency experts like Frank Gilbreth and Frederick Taylor. I mean, these guys died young, and a lot of efficiency experts did, and then you sit back and you wonder, “What were they saving all that time for?” I mean, I just envisioned in an effective world if you unloaded the dishwasher with your son, and maybe you’re talking baseballs, you would enjoy the time that you were doing that, and the time wouldn’t matter, right? Ed: That’s exactly right. In fact, that’s exactly what we do the first couple of times. We were just chatting about things, and I was teaching him where things go, and we even had some conversations as to why they go there, and some of it is because it’s not efficient but it’s because it’s effective. We know where they are. Ron: Right. Our mutual mentor, Peter Drucker wrote one of his classic books is called ‘The Effective Executive’. Ed: Not the ‘Efficient Executive’. Ron: Yes. It’s not the … Yes. Exactly. I just love to point that out because effectiveness is what matters in a business. Businesses aren’t paid to be efficient. Ron: That’s I think the key point. Ed: Nor did he say, “What you can measure you can manage.” He never said it. This is a battle for us, Ron. We know this, because if any of you Google that phrase, “What you can measure you can manage”, it will be attributed to Peter Drucker and it makes me crazy. Never said it. The problem with this, there’s a big problem with this concept because again, we get back to this idea that efficiency is a ratio. It’s a blind, stupid measurement, like adding up … You could add up Rembrandt’s or Picasso’s inputs, how much they spent on canvases, paints … all of that, but it doesn’t tell you anything about the value of their work. The problem with the McKinsey Maxim and I say this as somebody who’s been reformed on this that what you can measure, you can manage. That is patently false, but I used to believe it in my early career days. Did you as well? Ed: It’s this call for, “You’ve got to be able to measure it”. The real I think problem when we talked about this earlier with measurement, especially in business, and again, it’s not that we shouldn’t measure it, that we should measure nothing. I mean, we can measure stuff. I’m okay with some measurement, but we should understand that it’s a judgment in disguise is that when we go through this process, and is it the right thing that we should be talking about in the first place. I mean, it just sometimes doesn’t make any sense, right? Ron: Right. When we come back from this next break, I really want to dive into this, “What you can measure you can manage” and falsify it. We will do that right after this quick break. Ed: “The Cult of Efficiency has a record of multitude of numinous forums and internal bureaucracies and sent hither swarms of officers, nefarious cost accountants, superfluous lean and sick sigma black belts of various colors, and activity-based costing neophytes to harass our people and eat out their substance.” That’s one of my favorites quotes from the declaration of independence. Happy independence day, Ron. Ron: Yes, you too, Ed. This is great. I’m loving these quotes that you’re throwing up. Ed: Yes. Throwing up literally, yes. That. Ron: Let’s get back to this idea of a McKinsey, so called ‘McKinsey Maxim’, not the Peter Drucker, Maxim. Ed: Not Peter Drucker. Not Peter Drucker. Ron: What you can measure you can manage. I mean, this again is another concept just like efficiency that it’s just like motherhood or apple pie. You can’t attack it and yet, we have attacked it, so let’s attack it. The fact of the matter is, we can’t change our weight by having a more accurate scale or weighing ourselves more frequently. Just because we can measure something doesn’t at all mean that we can manage it. In fact, if you think about it, this whole bumper sticker, “What you can measure you can manage”, who’s ever measured the effectiveness of management? How do you measure the effectiveness of management, right? Ed: You’re going too far. Ron: You know, we fire CEOs all the time and managers screw up all the time. What is the measure of an effective manager? Ed: Yes. Usually, it’s profit I guess or growth or something like that. Ron: Sure. Sure. Humans are messy and we can’t be reduced to a simple measurement. I think at some future show, we’re going to talk about what we call ‘The Seven Moral Hazards of Measurement’, because I think there’s some big moral hazards in measuring things. My favorite example of this, Ed, is when you sent me that picture of you and Christine and Sean after he had just been born. I wrote you back kind of snarky and said, “Ed, why are you and Christine so happy, I mean, your family per capita income just decreased by one third?” Right? I mean, the measurement makes you look poor, and yet, the most joyful day of your life probably is when you have the birth of a child. Ron: The measurement misses the magic of life. Ed: Right, which is why and we’ll take this on in future shows too that why economists are messed up too because per capita GDP does the same thing. When a child is born, per capita GDP goes down, and when a sheep is born, it goes up. Excellent. That’s how messed up economists are. Let’s get back to this efficiency, effectiveness and Peter Drucker and ‘People and Performance’, another one of his great books. Why don’t you tell us a little bit about some of his work there? This is another thing that we love to cite is innovation is the antithesis of efficiency. Frederick Taylor can’t go into Google Labs or a pharmaceutical lab with a stopwatch and say, “Hey, you guys. Come up with a brilliant idea by 8:30 AM.” It doesn’t work that way, right? It’s the process of the mind, like you say, Ed, they’re artists. Ed: it’s so true. Look, Taylor was … I mean, he’s just a nasty kind of guy when you think about this, and then we apply this stuff to knowledge workers. He said, he was talking about the difference between first class men and the rest and says that “It’s quite as great as the difference between a fine dray horse and donkeys”. I mean, this is insulting and yet people apply this stuff and his thinking to knowledge workers every single day out there, every single day, asking for knowledge workers who are creative, who are thinking to be efficient and it’s killing business. It’s killing that soul of enterprise which is why we’re doing this show, because we have to stop it. We have to stop this madness. Ron: Yes, Nordstrom … Think about Nordstrom for a minute. I mean, Nordstrom, when you first walked into Nordstrom, I don’t know if you remember your first time, but I remember mine. What struck me about Nordstrom is yes, I realized that they have a large selection of shoes, and you can see from one end of the store to the other. They’re not your typical rat maze like at Macy’s or something. The thing that really struck me was the piano player. Now, there’s not an efficiency expert in the world like a Taylor or Frank Gilbreth who would tell the Nordstrom brothers, “Hey, you guys. Put a piano in your store and hire temperamental musicians.” That’s not very efficient. If you think about it, it lowers their efficiency ratio of sales per square foot or profit per square foot because that’s precious space that could be used for merchandising, and yet, they’ve decided to put a piano in there to serenade not only their customers, but their team members. It’s another fantastic example of having soul, that we’re going to do things that are aesthetically pleasing for fellow human beings, and not just because they’re efficient. Ed: Yes. I think it’s interesting because I work a lot with entrepreneurs, and it’s fascinating to see in the growth of an entrepreneurial business how it starts out with such passion about the service to customers or creating something new, and then, over time, they get professionalized I guess is perhaps the way to describe it, and they have all of these business consultants who are telling them that they have to start worrying about their efficiency and measuring this stuff. What I think happens and I’ve seen this over and over again is it starts to turn the focus from one that is external, focused on the outside the effectiveness part, and then turns it all inside. We start talking about, “What are the things that we can do to improve sales?” You can’t do anything to improve sales. What can you create for customers that improve sales? Ed: That’s the questions that people should be asking. Here’s my big problem with these, the lean six sigma ninja turtle … I’m sorry. I know there’s probably people listening who are very angry at me now. They’ve claimed that it’s in a spirit about the customer, but yet, every time that I’ve started to scratch the surface with anyone of these guys, it all comes down to something that’s inside the organization. Maybe I just don’t understand it. I’m willing to say that and suspend that idea, but I got to tell you it’s been … The conversations that I’ve had with these folks have really, really gotten under my skin because it’s all about how do we do it better inside the organization. Ron: Right. Again, they have … They violate Thomas Sowell’s line about no such thing as generic efficiency. They would build a military bridge not the Golden Gate because “It’s more efficient”. I think this is the problem, and I have encountered the lean six sigma folks, and lean more than six sigma pays lip service to value to the customer, voice of the customer, but I think it’s just that. I think it’s lip service. I think they’re way too focused internally, and they don’t have a good theory of value because they don’t understand that value is in the hearts, minds and souls of the customer who are external to the enterprise. I think this goes back to companies you admire I think like Apple understand that, understand that there’s more to buying a computer than just what it can do and its technical specifications. It’s how you feel. It’s how that brand or that . product or service makes you feel. That’s a human component that can’t be measured. Ed: I mean, I think Jobs talks about new computers like they’re a mistress. Ron: Yes. One of his marketing people did. The guy was French, so it’s [inaudible 00:35:08] though. Ron: Yes. He did say that. He said, “If you have an Apple laptop, that’s not a computer, that’s your mistress.” Look at the way people fondle their iPhones and their iPads. I mean, these things are aesthetically … They’re pleasing to us. Ed: Yes. I think you pointed this out to me in airports and stuff when you travel, you never see an Apple laptop with stickers all over it. Ron: No. Nobody ever covers up that logo because they want to tell the world that they think differently, like that’s Apple’s purpose. We think different. Everything we do is because we think differently and that resonates with people. Ron: Right. Right, where the paint that’s going to be. My favorite definition of that iPod, Ed was, and I think Jobs said this or maybe somebody on the iPod team said it that the iPod was not an MP3 player, it was an escape from reality. Ed: Yes. Exactly. Exactly. That’ll be the source of more material for us as not just Apple but the idea of changing business models because that’s really what Apple did there. Let’s get back to this efficiency stuff because I think it actually does over time become dangerous inside an organization. I think that the moment that an organization starts to worry more about its efficiency as opposed to its outward effectiveness is the moment that it really begins to die. If you had those two things in parallel, you would see that as we think more and more about being effective to our customers, we would think less about efficiency, and if we think more about efficiency, it would decrease our effectiveness. People get upset with me with that. They do not think that they’re mutually exclusive, but I think they are. I think that the more you think about efficiency, the less effective you’re going to be and vice versa. The more you think about effectiveness and being outside, the less you’ll worry or care about efficiency. I mean, you taught me a great line about if you have a brain tumor, would you want an efficient surgeon or an effective one? Ron: Right. It couldn’t be more right. I mean, I think industries that are at the apogee of their efficiency are destined to fall. We call them ‘Humpty Dumpties’. Look at the buggy whips. They were models of efficiency. Now, there’s a great story about this, Ed that Steve Jobs did a tour of the IBM factory that used to make printers. This was in the early ‘80s, so you know what was going on in the early ‘80s, what Jobs had planned. He went through this factory, and it was one of those automated factories that had just robots everywhere and there were like three humans and two dogs and the dogs were there to make sure that the humans didn’t touch the machines, right? The humans were there to feed the dogs. He did this tour, and he was really impressed and the IBM guy said, “Steve, what do you think of our factor?” He said, “This is wonderful.” He says “Incredibly efficient. It’s too bad you’re making the wrong thing,” and they were making matrix printers. Ron: Now, of course, he made those obsolete with his laser writer, right? A classic example, Ed, they were very efficient, and yet, here they were about to be made completely irrelevant. If you’re efficient at doing something that’s irrelevant or that doesn’t have any value, then it’s not a very good result. When we come back from this next break, I want to talk about the idea that a business can’t be broken out and you can’t just make the parts, each part efficient and get an efficient whole. That’s actually a fallacy in thinking. When we come back, I’d love to explain that some more and talk about that some more. We’ll be back after this. Ed: We, therefore the hosts of ‘The Soul of Enterprise’ assembled an appealing to the supreme judge of the world for the rectitude of our intentions due in the name and by authority of our listeners solemnly publish and declare that Enterprise is and of right ought to be free and independent from the tyranny of Taylorism and the cult of efficiency. Welcome back, folks. Ron, we’re going to talk about more about efficiency, effectiveness, and you’re about to tear something down. Why don’t you go set that up for us? Ron: Yes. I’m ready to shoot off some fireworks after that last quote, Ed. That’d right. Thank you. Let’s talk about this example because this idea that you can look at a business and then break it down into its component parts, whatever that might be, a factory set up or doing different things on the line or whatever, it’s just a business in general. Business isn’t interdependent system. This is something I learned from Peter Drucker. You can’t just make each part of that interdependent system more efficient and expect to get a more effective whole. The best way I heard this described was if you are building a world class, you wanted to build a world class sports car. Let’s assume you have the mechanical and technical ability to put together the 10,000 parts of a car, and you did your research, and you determined that the best engine in the world is from the Ferrari, and the best handling system is the BMW, and the best breaks or portion … pick your other favorite car … Lamborghini for this and this car for that. If you assemble these 10,000, the spirit parts into your garage from all the world class components of each one of those parts, you wouldn’t have a world class sports car if you put it together. You’d have a very expensive pile of junk because each one of those sports cars is an interdependent system. Some parts of it are not efficient, but overall , the whole is effective. I think that’s the other problem with efficiency thinking. It breaks things down and assumes automatically that if everything is more efficient, the whole will be more effective. That’s patently false. It’s false with the human body, right? The surgeon sometimes has to cut off a pinky to save a hand, or has to give a treatment that might cause side effects in one area but make you more healthy overall. We have to go back to systems thinking I think. Ed: Yes. It’s interesting because this is a very Newtonian view of the world. It even goes back to the idea that we have this big watch or this big clock that’s out there. Newton and a lot of the folks of that era did tremendous work from a scientific standpoint. I mean, don’t get me wrong, but what we’ve since learned is that a lot of those things are false and incorrect. It blows a lot of people away to … We use the term ‘A quantum leap’, but to understand scientifically what a quantum leap actually is, it’s when an electron effectively disappears from one level of going around the center of the atom, the nucleus of the atom, and it goes to this whole other level, and it just jumps. It doesn’t move. It just disappears from one and appears in the other, and it lets off a photon. Scientists are still trying to get their heads around this that this stuff actually just disappears. It’s not Newtonian, right? Ed: It’s not Newtonian. It’s an entire unified system that as you said, it’s completely interdependent, interdependent on things, not dependent on certain things. People try to break this stuff down to get little efficiencies here, little efficiencies there, and they in some cases destroy the system. It’s no accident I think that when efficiencies tend to go up, customer complaints … I’m sorry. When efficiencies tend to go down, we get or we’re more efficient that customer complaints go up. Ron: Absolutely. I think this goes to two more points I’d like to make about this. That is again, we’re not anti-efficiency. I believe and Stephen Covey I believe wrote this, “You can be efficient with things but not people.” You have to be effective with people, and, Ed, you have a great line on this from somebody. Ron: Right. Yes. Who wants an efficient marriage? I don’t even know what that means [inaudible 00:44:06]. One of my favorite lines of his, of Matthew Stewart’s on Taylor is “One can go grocery shopping with the scientific attitude, but it does not follow that there is a science of grocery shopping.” I think that sums up a kind of bar attitude about there’s not really a science of business, it’s really more of an art. Ron: He was a six sigma consultant. Not good. Ron: We, humans, we repel against efficiency. I mean, this is why the peacock walks around with this big, beautiful tail basically telling the female or the species, “Hey. I can have this big tail which is completely inefficient and still function as a living thing.” There’s a reason that we’re repelled from complete efficiency. Ed: Yes, we don’t like it. Ed: Yes. You don’t like it. Ron: Yes, we inherently trust organizations that have resources to spare … share experience that let me have men around me who are fat because then they’re not thinking short term just, “What, how, where am I going to get my next meal from?” I think too much of a focus on efficiency, you can lose that perspective. Back to Matthew Steward in ‘The Management Myth’ book, he said Taylorism basically was a tautology. An efficient shop is a more productive than an inefficient shop. Duh. The fact of the matter is, for all these reasons we’ve discussed, you can’t just be more efficient and expect the more effective whole. I think this goes back to the McKinsey Maxim, if you can measure it, you can manage it. It seems to me, a lot of people who are so focused on efficiency have the Maxim that if you can’t manage it, then you should measure it. I think that can be a big problem. Ed: Absolutely. It’s what I like to call … It gives us the illusion of control. Ed: It’s not real control, it’s the illusion of control. It makes us feel better because we can say, “Oh. Look, we’ve got this. We’re measuring this,” but it’s not real control at all. It’s an illusion. Ron: Right, and I think better even than effective, why don’t we strive to be efficacious? I love this word at least in the context of how say pharmaceutical companies use it in terms of drugs. Efficaciousness means having the power to produce a desired effect, right? Viagra is very efficacious. I think that’s what businesses should be striving for, producing that desire, the fact of creating value outside of themselves. Ron: Ed, I know we’re running out of time here, but if I know you have an ending quote, and then maybe I’ll talk about what we’re going to talk about on our next show. Ron: Yes, he was. That’s certainly what everybody will be doing tonight. Next week on ‘The Soul of Enterprise Show’, we’re going to talk about the first law of marketing. Ed and I are very passionate about this topic, so I’m really looking forward to that. Again, next week, the first law of marketing right here on ‘The Soul of Enterprise’ on VoiceAmerica. Thank you very much.